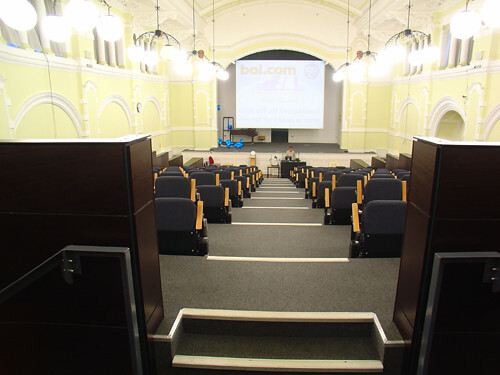 The University of East London currently has three campuses at - Docklands, Barking, and Stratford. 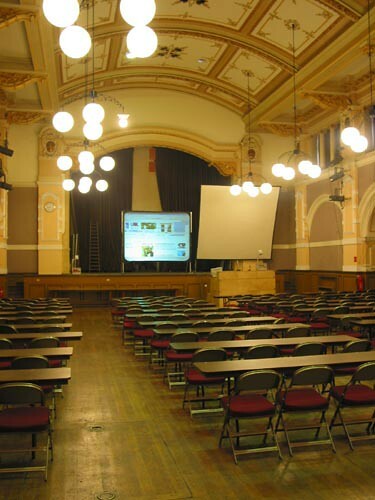 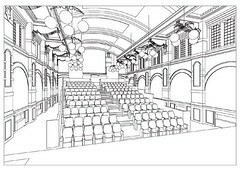 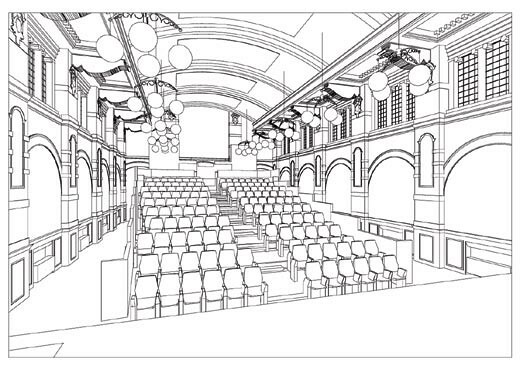 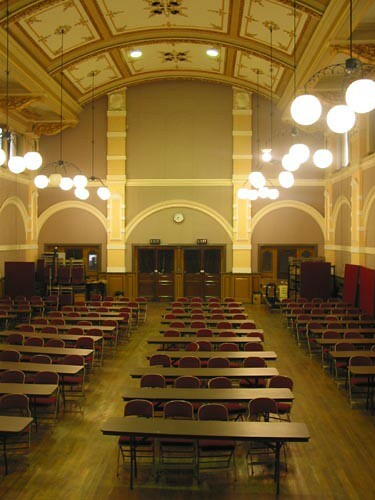 We have been asked to work at the Stratford Campus and our first project is to construct a raked Lecture theatre within the Grade 2 Listed Great Hall of the original educational institute built in 1903. 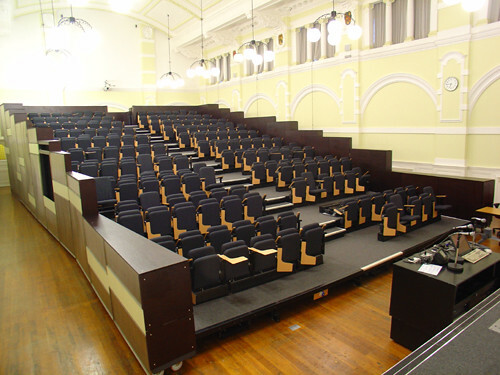 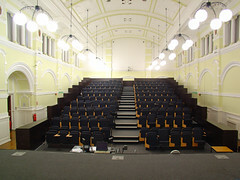 This Edwardian building by the Architects JGS Gibson and SB Russell has been converted for the use of the University but there is no large lecture theatre. 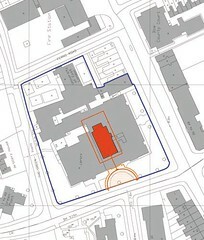 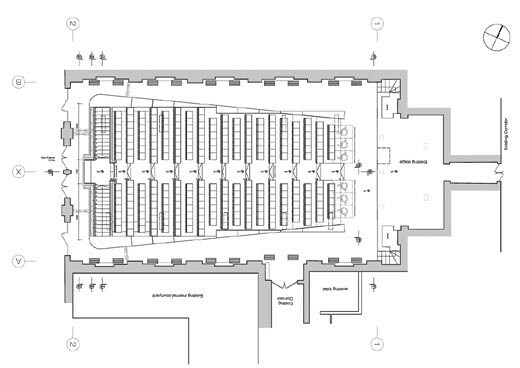 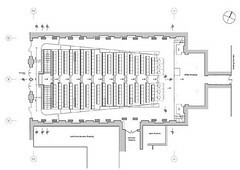 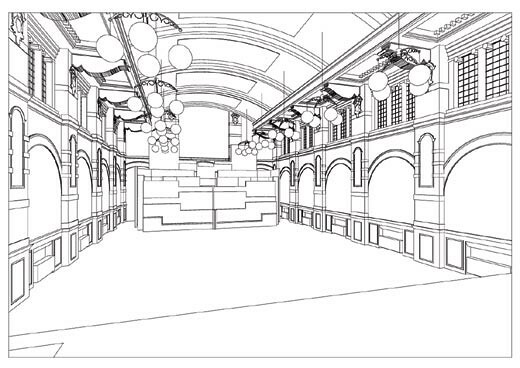 Our plans show an isolated object sitting within the Great Hall which is capable of being reduced through collapsible seating and folding side elements to a box at the rear of the hall. 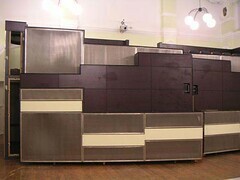 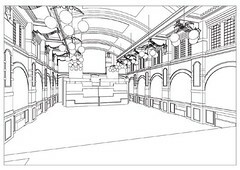 In this way, the hall can be returned to flat floor events for stage shows, student fairs etc. When extended, the new Lecture Theatre constructed of steel and clad in stainless steel mesh, contrasts in modern materials with the restored splendour of the Listed Hall. 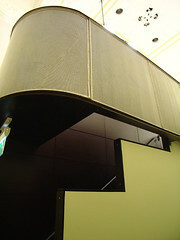 The project was completed in September 2004.